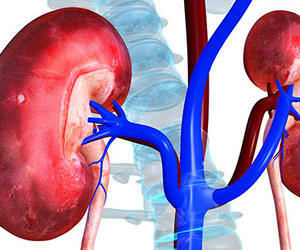 Prevention: Main antidote to avoid kidney diseases | Cuba Headlines en Español – Noticias de Cuba, Noticias de Última Hora en Cuba y el Mundo. Specialists say that kidney diseases can be prevented with education, knowledge, and a healthy lifestyle including an adequate nutrition and exercise. A powerful incentive for the appearance of a disease is obesity, which increases the dangers of developing the main risk factors of chronic kidney ailments like diabetes and high blood pressure and a direct impact in the progression of the problem in its terminal phase. According to World Health Organization, (WHO), obesity has considerably increased in the general population and there are estimates that approximately 30 percent of the overweight patients can develop kidney diseases. That is why, World Kidney Day is commemorated every second Thursday of March to help promote education on the dangerous consequences of obesity and its association with kidney ailments and advocates for a healthy lifestyle and policies focused on prevention. The world campaign, directed to create knowledge on the importance of the body’s organs, centers this year on nutrition and a healthy lifestyle for strong kidneys. The campaign also pretends to emphasize in the importance of the kidneys for health in general and stress in the need to carry out actions in the world to reduce the frequency, impact of kidney diseases and associated problems. World Kidney Day has been commemorated since 2006 and is a joint initiative of the International Nephrology Society and the International Federation of Kidney Foundations with the objective of creating knowledge on the impact of the kidney diseases in humanity. It also looks to introduce strategies and life styles that can prevent the ailments.